As you probably know, this week The Wolfe Widow, the third in our book collector series, was released into the world. At the same time, Nightmares Can Be Murder--the first in a new series from my fellow Cozy Chick Mary Kennedy--hit the shelves. The release of a book spells the end of about a year’s work and months of promo and planning. It’s all a bit heart-stopping. But what is heartwarming is the support from our women friends in the genre. Friends know how to celebrate your successes. 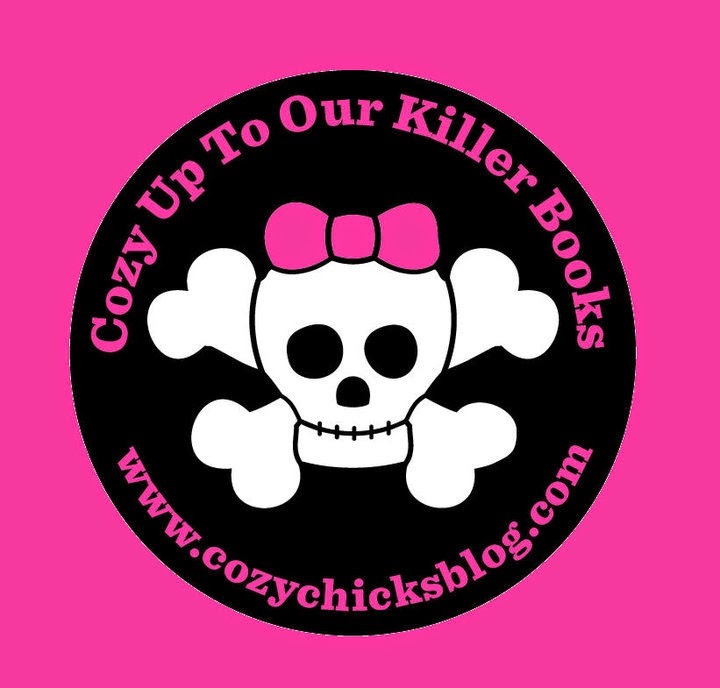 The Cozy Chicks, as you know, are the best book buddies in the world. They are brilliant and energetic. So it felt wonderful to feel their friendship and hear the good wishes on the run up to the big day: happy release day messages, Facebook posts, Tweets, personal notes and so much more. The Chicks told the world. 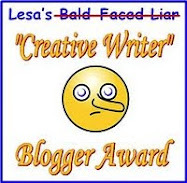 In fact, some of you took notice of this: thanks, Lynda Turpin for your comments! And thanks to all The Chicks! This might be surprising because, as you know, our business is murder. Or is it? Well, actually, as cozy writers our business is solving murder and setting the world straight again. My friends are good at that. In our books, family and friends matter. They are a huge part of the storylines and the solutions. As a cozy reader myself, I accept that the ongoing relationships are what I like best about mysteries (although I also love figuring out whodunnit). Back to my point: there’s something about people who write mysteries: they may each know 147 ways to kill someone, but they get it all out on the page. Those villains come in handy, because in real life, our cozy writers pleasant and positive, the ones you want on your side. All to say, I’m feeling lucky this week, because of them, and, of course, because of you readers. I'd love to hear your thoughts on The Chicks, on friendships and on mysteries. All and any! Come on down. Now, did anyone bring cupcakes? Hi, Mary Jane. Love the book collector series. Cannot wait to read the Wolfe Widow. Yes, the friendships in cozies are such a huge part of the books. Sleuthing is fun, doing it with your BFF at your side makes for a terrific adventure since nothing ever goes right and you need someone to share it with. Fantastic blog, Mary Jane. Thank you for the shout-out for Nightmares Can Be Murder. It's been a whirlwind of a week, hasn't it? I know The Wolfe Widow is going to be a huge success, so much buzz on-line. Everyone is talking about it! And yes about the Cozy Chicks! What would I do without them--a great, supportive group! Good wishes to all the new authors whose books are coming out this month. I have them on pre order. I love all you Cozy Chicks. You feel like real friends to me. Thanks, Duffy! I realized this am that I should have mentioned your interview with Mary! You are so right about the BFF at your side. So glad you are part of this great group. You're right, Diane. I feel the same way and feel that I have gotten to know you and your generous spirit too. Those cupcakes look so good. I love cozies and usually order them from "From My Shelf Books" in Wellsboro. The owner often orders some for the store, also. I am somewhat behind in my reading and collected because I had a knee replaced and have been going to therapy. I also am trying to clear out thinks from my house - text books mainly not the books I read and collect. Great post, Mary Jane. 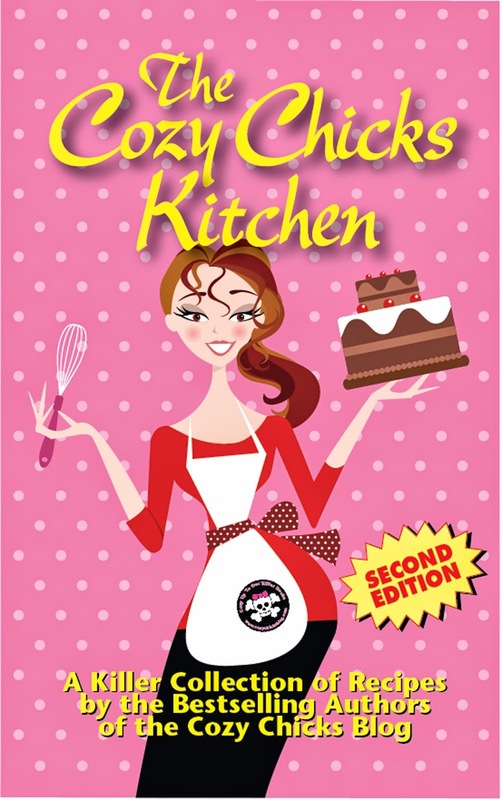 We're delighted to have you as a Cozy Chick----as well as Mary and Duffy, too. :) So glad you all joined us. 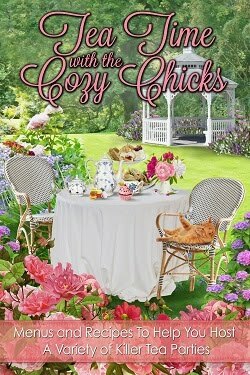 And now, I'll go on Facebook and post about these Cozy Chicks new releases! Yay for the Chicks! !